Grammar is one of the difficult parts of the language. Especially teaching grammar to the primary students is a very challenging task for the teachers. So some interactive activities and methods will help them to learn and understand the grammar easily and effectively. 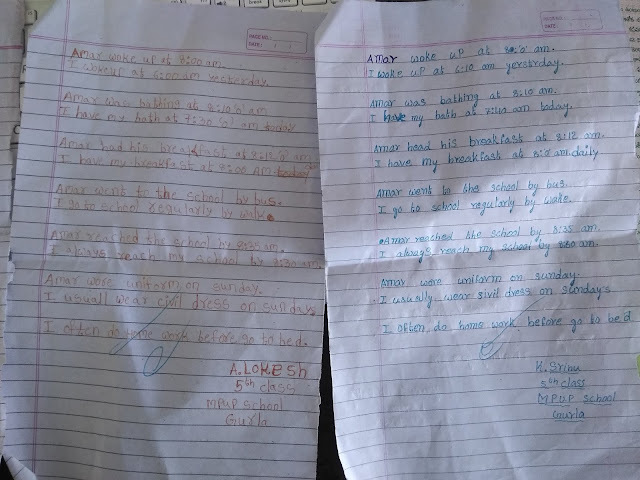 Here is a task-based activity which I used to teach adverbs to my children. In my previous post, I had discussed a story teaching using this method. 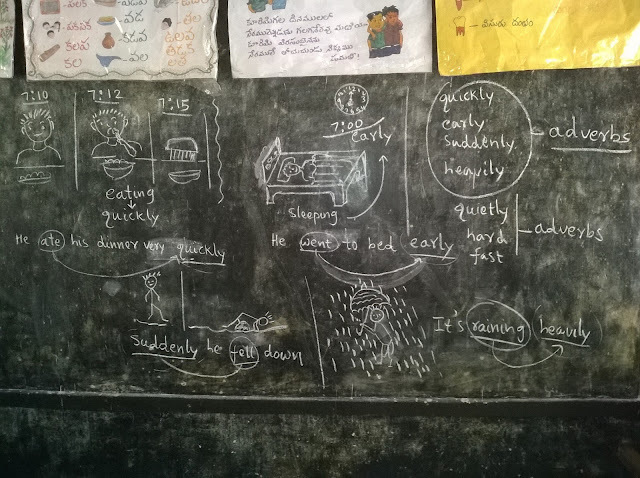 I continued the activity to teach adverbs. I have used the same picture story cards to start my class. I started my lesson by pasting the picture cards along with time. Then I asked some questions based on the story and picture cards. 1. When did Amar wake up? 2. When did he have his bath? 3. When did he have his breakfast? 4. How did he reach school? 5. What time did he reach school? 6. Why was the school closed? 7. What did he wear on Sunday? So I asked my children to write answers to these questions. Here you can see my children's responses to these questions. 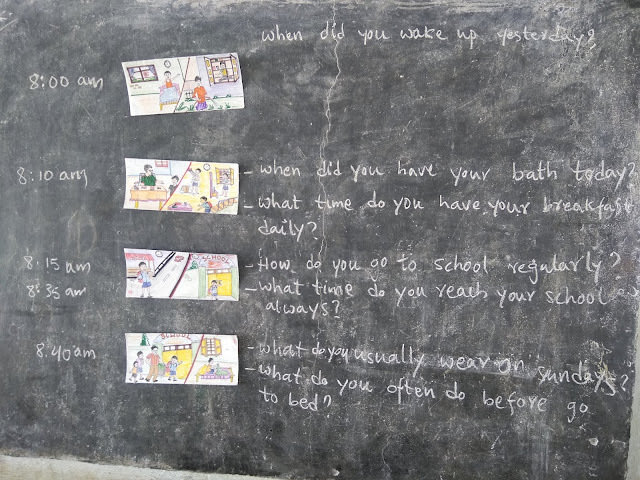 And then I wrote all those answers on the board and explained the importance and usage of the words yesterday, today, regularly, daily, always and often. And I told them these words are called adverbs. Then I drew some more pictures to help them understand the topic well. I drew these below pictures to explain some more words and help them to understand the topic well. I explained the use and meaning of the words and how they affect a verb. 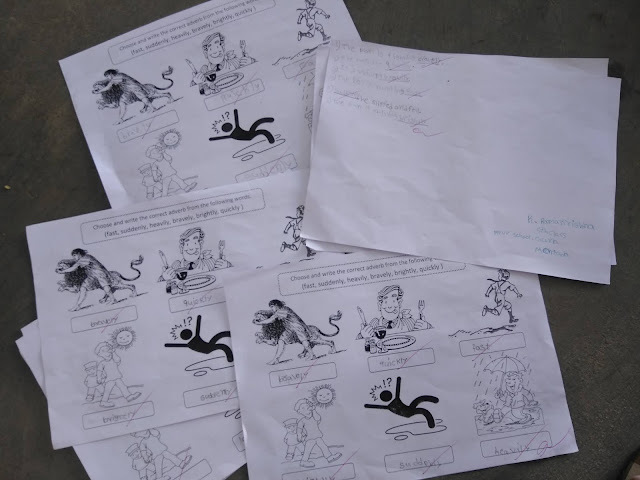 The drawings helped them to grasp the functioning of the adverbs quickly. Finally, I gave a worksheet to comprehend my children's understanding. 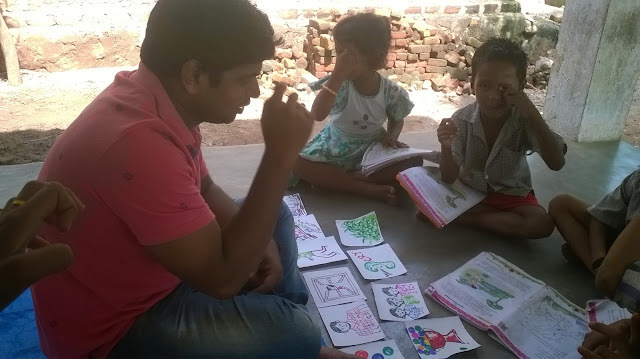 So in this activity, Children learned a new topic from a known story. 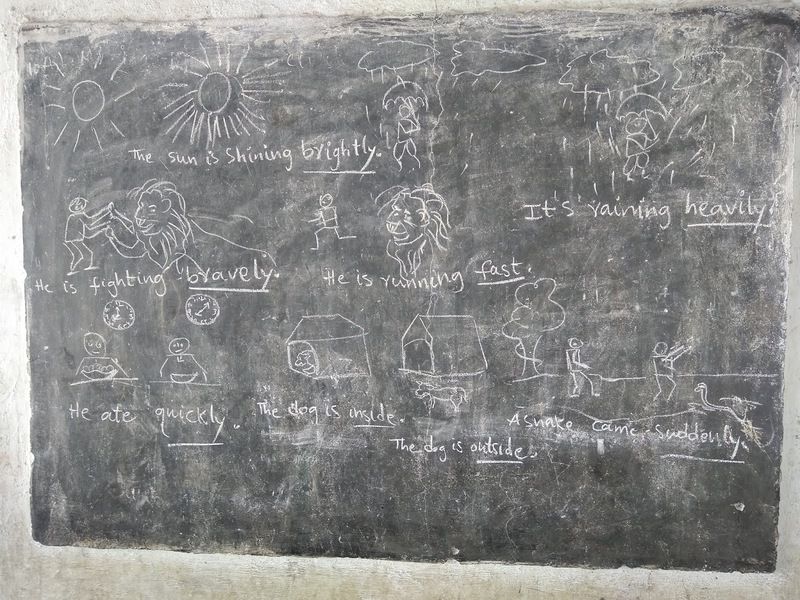 Language skills were developed by interacting and expressing ideas relating to a known topic. Moreover, informal language acquisition takes place in this activity.